Social enterprises fundamentally centre on the right people with the right idea, committed to making sustainable change. It is worth spending a bit of time thinking on yourself as a founder, your cofounders, your community and others. Your organisation may be initially made up by people that you know who are also affected by the challenges you are trying to help solve. You may also hope to employ people who are socially excluded or marginalised and who may be employed in your social enterprise. It is important to make sure that the organisation is governed and that people know their roles. Are we able to deliver our vision and mission? How will we structure the work-plan? What policies and procedures do we need in place to make sure we are compliant and best practice? HR/ People/ Stakeholders, who need to be involved? Generally there will be a board of management who will be made up of directors responsible for some of the issues outlined above.It is the Board’s responsibility to ensure the smooth running of the organisation and that they have control of what is going on. Company directors are the legal guardians of any company registered in Ireland. They are the people who are responsible for the running of the company. They are responsible for the accounts and for filing their information with the Companies Registration Office and Revenue, holding meetings such as the AGM and conducting business with members. It is important to note that under the law, directors don’t need to be signatories be responsible for the actions of the company. If you are giving advice that is followed by the company and you are in a position of influence, you can be considered a director too. It is predominantly the Directors who make up the board and are responsible for the sustainability of that organisation and its mission. Your constitution is your set of guidelines on how your social enterprise should function both externally and internally. The constitution usually sets out how directors can be elected, how often meetings should be held, how the company should trade and what it’s intended purpose is. Many social enterprises use their constitution to state that they are a trading social enterprise with a defined purpose of reinvesting profits to for some defined social mission. Include your main social aims and objectives. Use your vision and mission statement as guidance. However the constitution is formed, it is important that it has enough information in it to enable the organisation to run smoothly and effectively. It should provide you with a reference for the overall organisation of the group. The constitution you adopt will depend on the legal structure you have chosen. There are plenty of examples that can be found on the www.carmichaelcentre.ie website and through the www.wheel.ie amongst others. Also, check other companies limited by guarantee you know and ask for their constitution. Even at startup stage, it is important to make sure that the people you have on your board are the right fit. A mix of skills, experience and qualifications is usually a good start. For example, if you are setting up a social enterprise cafe, it would be wise to have someone who at least knows something about the food and service industry. Getting your right staff choices can be critical, but if there is a glaring need for expertise, you should rectify that gap on your board early on. You might be a lone starter in setting up your social enterprise. In that case, you might not feel that a board is relevant to you. But if you are beginning to see your social enterprise as a business, you should strongly consider getting the right people into help you make the organisation as successful as it can be. It is possible to set up a board of advisors. They may not be as formal as your board or have any of the legal duties, but can act as advisors and even ambassadors to your initiative. Such advice could be unbiased, can help you solve problems, can give you advice on marketing or sales or on finance available. Make sure you have the right balance of people to help you begin. As well as the board, staff will play the most vital roles in getting your social enterprise started and sustainable. If you are setting up your social enterprise yourself, it might be good to think on how you might have others come in to help you in your areas that might be weaker than others. For example, in a social enterprise cafe, would you be the CEO, head chef and chief barista? Perhaps you might but consider employing people in those roles. If you have a board, they should to take the lead in hiring the right people to get the social enterprise started. Social Enterprises, like all other enterprises are required by law to have certain policies in place. These include HR and Health and Safety policies. Policies can also establish rules of engagement with staff, members, local communities or the wider society. There are plenty of examples of policies that can be adapted to your organisation. There are many policies that you can create to make sure that the organisation is keeping some order. When each of your policies are created, it will be important to create an Employee Handbook. This handbook is a short synopsis of all the policies that an employee will need to know including their reporting structure, their contracts and terms of employment. The hiring process usually starts with the need to fill a vacant or new position. For a vacant position, this is a good time to assess if the job still helps your organisation serve its purpose and achieve its mission. Hiring a new employee needs to be rooted in a larger staffing plan that is connected to your organisation’s strategic plan. What are the positions that need to be filled both now and in the future? What needs to be done? What are your social enterprise’s values? What type of employee do you need to look for in potential new staff to make sure they will fit in? Are the roles suitable for permanent, temporary, full-time, part-time or some other contractual arrangement? HR policies assist the process of bringing a new employee into the organisation. Up-to-date, clear policies on recruitment and staffing make the hiring process straightforward and less time consuming. Policies on probation, employee orientation, workplace health and safety and training and development – to name a few topics – clarify what management and employees expect of each other. Plus, HR policies are a great source of information for a new employee. LES can give instant access to a database of skilled and job-ready candidates. They offer a number of avenues to help you find the optimum candidate. 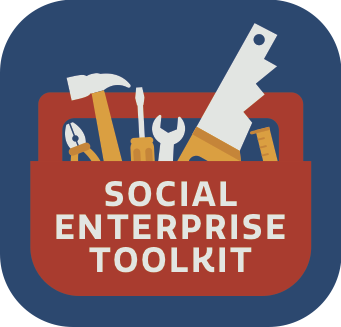 There are a few schemes that social enterprises typically benefit from when operating. Each work scheme is administered differently with different departments but if you are not aware of them, you should find out more on how they operate and how they can benefit you. The Community Services Programme supports community businesses to provide local services and create employment opportunities for disadvantaged people. It provides funding support to community companies and co-operatives. It focuses on communities where public and private sector services are lacking, either through geographical or social isolation or because demand levels are not sufficient. The Programme also enables the benefit of other public investment to be realised (as in the case of investment in community centres and resources).